Main minority or indigenous communities: Lezgins (2 per cent), Armenians (1.3 per cent), Russians (1.3 per cent) and Talysh (1.3 per cent). Main religions: Islam (majority Shi’a, minority Sunni), Orthodox Christianity. There are more than 15 ethnic groups in Azerbaijan, together constituting 8.4 per cent of the population. Most live in compact settlements. Over the past decade the share of all major ethnic minorities of Azerbaijan except Talysh and Tats has been shrinking, but the census recorded a dramatic fall in numbers of Russians and Armenians in the republic. Most Armenians outside Nagorno-Karabakh left Azerbaijan as a result of the Nagorno-Karabakh conflict, and many Russians also opted to leave for socio-economic reasons. Lezgins became Azerbaijan’s largest minority as a result of these changes. According to the last population census, conducted in 2009. Azerbaijanis made up 91.6 per cent of the population, Lezgins (2 per cent), Armenians (1.3 per cent), Russians (1.3 per cent) and Talysh (1.3 per cent). Azerbaijan has a large number of smaller minorities, each comprising less than 1 per cent of the total population, including Avars (0.6 per cent), Turks (0.4 per cent), Tatars (0.3 per cent), Ukrainians (0.3 per cent), Georgians (0.1 per cent), Kurds (0.1 per cent), Jews (0.1 per cent), Udins (0.04 per cent) and Tsakhurs. Lezgins are a Caucasus people who speak Lezgin (which belongs to the north-eastern branch of Caucasian languages) and they live in the northern regions of Azerbaijan. Their population is estimated at 180,300 (2009 census). They comprise the largest ethnic minority group. Armenians are the second largest minority group with a population of 120,300 (2009 census), living mainly in the Nagorno-Karabakh region of Azerbaijan. Some also live outside of Nagorno-Karabakh region, including Baku city. They speak Armenian, which belongs to the Indo-European linguistic family. Around 800.000 Azeris from Nagorno-Karabakh and other occupied territories were forced to flee and are now IDPs. Before the war Armenians were the largest minority. Today, more than 80 per cent of Armenians live in Nagorno-Karabakh and those who live outside that region are in a difficult situation. Russians are the third largest minority group with a population of 119,300 (2009 census). They live mostly in the industrial cities and speak Russian. Talysh live in the southern regions of Azerbaijan and number 112,000 people (2009 census). They speak Talysh, an Indo-European language common in northern Iran, as well as Azerbaijani. There are 49,800 Avars (2009 census) living in the northern regions. They speak Avar (of the north-eastern Caucasian languages) and also Azerbaijani. Turks-Meskhetians live in the northern and lower regions of the country. They speak Azerbaijani. Their population is estimated at 38,000 (2009 census). Around 25,900 (2009 census) Tatars live in the cities of Azerbaijan. They speak Tatar, which is a Turkic language, and also Russian. Ukrainians live mainly in Baku city. They speak Ukranian (of the Eastern-Slavonic language family), as well as Russian. Their population size is estimated at 21,500 (2009 census). Other minor ethnic groups whose populations are 15,000 or less (2009 census) are: Tsakhurs, situated primarily in Zakataly region; Georgians (9,900 living primarily in Gakh region); Kurds (6,100); Tats (10,900, based in the northern regions); Jews (9,100 living in Guba region and Baku city); and Udins (3,800, based mainly in the northern regions). 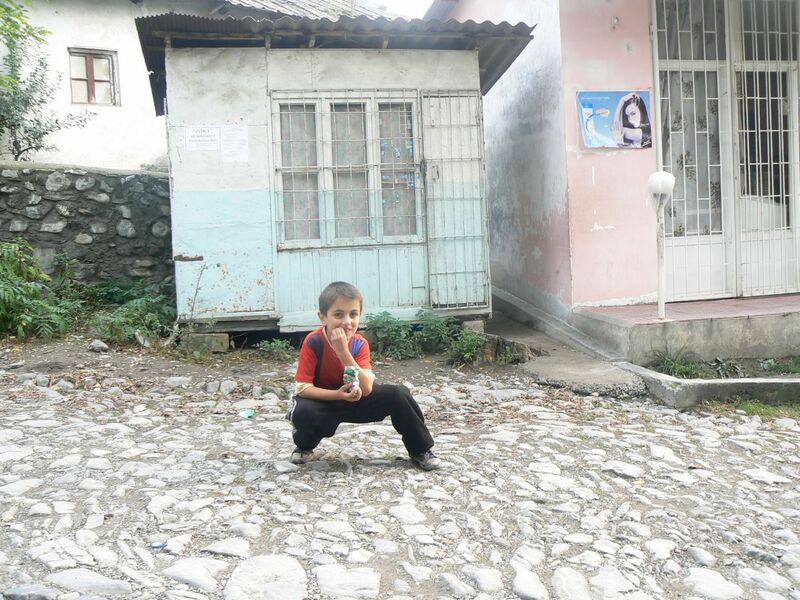 A Roma boy in Azerbaijan. Credit: Neil Clarke / MRG. Azerbaijan is an immensely diverse country with more than 15 different ethnic groups comprising 8.4 per cent of the population. However, the proportion of minority communities in the country has been decreasing in recent years due to continued conflict and discrimination against ethnic minorities, as well as internal displacement. The status of the disputed region of Nagorno-Karabakh, where most of Azerbaijan’s Armenian minority are based, has been a source of ongoing tension between Azerbaijan and neighbouring Armenia since the early twentieth century and remains unresolved to this day. While still nominally part of Azerbaijan, the territory has been under de facto autonomous rule since the outbreak of a protracted conflict in the early 1990s between Azerbaijan and Armenia. It is estimated that in the wake of conflict in the 1990s, 300,000 Armenians left the country and only around 18,000 remained in Azerbaijan outside of Nagorno-Karabakh region. Although a ceasefire was established in 1994, no official peace settlement has been signed and despite periodic discussions violence has flared up on occasions in recent years. A major ceasefire violation occurred in April 2016 when dozens of soldiers on both sides died in clashes. Fighting continued for four days before a ceasefire was agreed. Border skirmishes have persisted since then at a lower level, with multiple incidents during 2017 that saw soldiers from both sides killed or injured, including an incident in July 2017 when Armenian-backed troops shelled an Azerbaijani village, killing two Azeris, one of them a two-year old toddler. The situation of Nagorno-Karabakh has played an important role in shaping the attitude of the central government to the country’s minorities. While Azerbaijan has adopted a highly repressive approach to civil society activism under Ilham Alyiev, the country’s President since 2003, this is especially evident in the area of minority rights. Amidst fears of secession and state disintegration, the authorities primarily regard the situation of ethnic minorities from the perspective of national security, rather than human rights and inclusion. In particular, the Azerbaijani government actively discourages initiatives by Azerbaijani NGOs to engage Armenians, and information on the situation within Nagorno-Karabakh is tightly controlled. As a result, the situation for Armenians remaining in Azerbaijan outside Armenian-controlled territory remains difficult: hate speech against Armenians continues to feature heavily in state-controlled media, while peace-building efforts involving civil society actors are typically undermined, sometimes resulting in physical assaults on the property and persons of those involved. More broadly, the use of minority languages in Azerbaijan continues to be restricted. Azerbaijan has not yet ratified the European charter for Regional and Minority languages, a treaty imposed by the Council of Europe in 1992 to protect regional and minority languages in Europe. As a result a number of minority communities – Farsi-speaking Talysh in the south of the country, Caucasian Lezgins in the north, displaced Meskhetian Turks from Central Asia and displaced Kurds from the Armenian-occupied Lachin region – have all experienced discrimination, restrictions on the ability to teach in their first languages and harassment by local authorities. This is reflective of a government that has placed little emphasis on promoting anti-discriminatory measures, despite the clear need to move beyond its current securitized approach to non-Azeri communities in the country. The Azerbaijani authorities continue to be heavily criticized for the arbitrary detention of peaceful demonstrators and the arrest and imprisonment of human rights defenders and opposition politicians. The Republic of Azerbaijan, formerly the Soviet Socialist Republic of Azerbaijan, is situated in the South Caucasus on the western coast of the Caspian Sea. It borders Iran to the south, Armenia to the west, Georgia to the north-west and the Republic of Dagestan in the Russian Federation to the north across the Caucasus mountain range. The Nakhichevan Autonomous Republic, bordering Armenia, Iran and Turkey, is also part of Azerbaijan. Nagorno-Karabakh, formerly an autonomous region in Soviet times, lies in south-west Azerbaijan; populated largely by Armenians, it has been the focus of conflict since 1988. Azerbaijan historically formed a borderland between the Russian and Iranian empires and their spheres of influence. This is reflected in the fact that today there are greater numbers of ethnic Azeris living in Iran, where they comprise approximately one-fifth to one-quarter of the total population (exact numbers are uncertain), than in Azerbaijan. Some Azeris refer to this part of Iran as ‘southern Azerbaijan’, a highly contentious term in Iran. Azeris are ethnographically and linguistically a Turkic people, although they are differentiated from Turks as Shi’a rather than Sunni Muslims. Azerbaijan’s exit from the Soviet Union was shaped by the conflict with the majority Armenian population in Nagorno-Karabakh. At the end of 1988, Nagorno-Karabakh rapidly became a rallying point for Azeri nationalism. Having initially fared well in the war, Azerbaijan suffered a series of catastrophic defeats in 1993, leading not only to the taking of Nagorno-Karabakh but the occupation of seven regions of Azerbaijan surrounding it by Karabakh Armenian forces backed by Armenia. Armenian occupation of these territories was accompanied by the forced expulsion of ethnic Azeris. Although statistics are practically impossible to verify, it is thought that there are in the region of 750,000 internally displaced people and refugees from Armenia living in Azerbaijan today, accounting for some 9 per cent of the total population. Likewise, Azerbaijan’s Armenian population was forced to leave the country after pogroms in Baku and its suburb Sumqayit; Azerbaijan lost much of its multi-ethnic character as a result of these population shifts. Disasters on the battlefield contributed to internal turmoil throughout the early 1990s as successive governments rose and fell according to developments in the Nagorno-Karabakh war. It was eventually Heydar Aliyev, former first secretary of the Azerbaijani Communist Party who acceded to the presidency in 1993. Through a combination of political guile, lucrative contracts for Caspian oil exploitation and a fragmented opposition, President Aliyev was able to entrench his regime over a decade and ultimately secure the accession of his son Ilham to the presidency in 2003. Although bringing much-needed stability to Azerbaijan, Aliyev senior’s rule was characterized by recognizably Soviet methods: the creation of a party-state in the form of the Yeni Azerbaycan Party (YAP) securing social mobility only for party members, a personality cult, manipulation of electoral processes and recourse to violence against opposition when necessary. The YAP has retained a high level of cohesiveness since its creation, remaining closely intertwined with both familial loyalties in its higher echelons and state structures (employment in the public sector is contingent on YAP membership). The party has been consistently victorious in parliamentary elections, enjoys tight control over local executive appointments and provided the vehicle for Ilham Aliyev’s smooth accession to power. Efforts to secure a lasting peace settlement in the Nagorno-Karabakh conflict continued since the ceasefire, mediated by the Minsk Group of the Organisation for Security and Co-operation in Europe (OSCE). Azerbaijan has continued to insist on territorial integrity within its Soviet-era borders and refuses to negotiate directly with the de facto authorities in Nagorno-Karabakh, while Armenia and Nagorno-Karabakh refuse to relinquish control of the occupied territories until mechanisms for determining Nagorno-Karabakh’s future status are put in place. During Ilham Aliyev’s rule there has been a rise in militant rhetoric, coupled with a rise in military expenditure, contributing to expectations of a military ‘solution’ to the conflict. In April 2016, heavy fighting broke out between Azerbaijani and Armenian troops, with both sides blaming the other for triggering clashes that left at least 30 soldiers dead. The opening of the Baku–Tbilisi–Ceyhan pipeline in July 2006 has brought billions of dollars of revenue to Azerbaijan. However, in a context of corruption, the extent to which ordinary Azerbaijani citizens, in particularly members of marginalized minorities, have benefitted from the oil boom is limited. These issues are especially pertinent as Aliyev and his supporters have cemented their position in the country, with rights groups highlighting the persistent lack of transparency surrounding oil deals. Azerbaijan is characterized by a poor governance environment. Its political system may be described as super-presidential, with virtually all significant decision-making powers concentrated in the office of the president. The 125-member parliament (Milli Meclis) is a largely formal body, packed with representatives belonging to the presidential party or nominally ‘independent’ deputies. The current president, Ilham Aliyev, has been in power since 2003: his position was strengthened by a landslide victory in the 2013 presidential elections, with the next presidential elections scheduled for October 2018. The ruling political party, New Azerbaijan Party (Yeni Azerbaycan Partiyasi, YAP), is headed by Aliyev and dominates the political system, with little substantive resistance from opposition parties. The last parliamentary elections took place in November 2015 and the ruling New Azerbaijan Party claimed victory, winning 69 of the 125 seats in the National Assembly amidst an opposition boycott. Aliyev’s rule has seen a significant consolidation of power, human rights abuses and repression of political opposition groups, civil society and media, with many activists and journalists imprisoned for their work. In addition, there are few opportunities for legal redress within the Azerbaijani legal system with the judiciary firmly under the control of the executive. In this environment, minorities and minority rights activists are especially vulnerable to exclusion and persecution, with little recourse to official justice mechanisms. Azerbaijan lacks comprehensive legislation with regard to ethnic minorities and at an institutional level there is no specific body to deal with minority issues, only the Ombudsman Institute. The state institution most engaged with ethnic minorities is Ministry of National Security, but this is reflective of a situation where official policy on minorities is primarily developed from the perspective of national security, with minority rights issues tackled primarily in response to fears of state disintegration or secession, particularly in the South Caucasus. There are a number of legal provisions protecting Azerbaijan’s minorities. For example, the Constitution guarantees rights and freedoms to all people regardless of race, nationality, religion, ethnicity or beliefs. Article 11 secures preservation of a national culture including ‘cultural originality of all national minorities living in the territory of the Republic of Azerbaijan’, while Article 6 guarantees the right to education in the languages of national minorities. Yet in practice these protections are only weakly implemented, and minorities have limited recourse to justice from official channels in the event of discrimination. The overall legislative framework pertaining to national minorities is vague and there is only limited understanding of the Framework Convention for the Protection of National Minorities (FCNM) among government entities and society at large, despite Azerbaijan having been a state party since 2000. The primary tool for protection of minority rights appears to be a series of presidential decrees. A 1992 decree of the President of Azerbaijan on ‘State assistance for the protection of rights and freedoms of national minorities, minority people and ethnic groups living in Azerbaijan and promotion of their language and culture’ long served as the national legal framework for the rights and freedoms of national minorities. Implementation of this decree was stalled by the conflict in Nagorno-Karabakh, which further contributed to a unitary vision of Azerbaijani statehood inhospitable to the granting of wide-ranging rights to minorities perceived as sources of further separatism. Continuing this trend, the Aliyev regime has consistently promoted a civic vision of Azerbaijani nationhood, which has obliquely promoted the interests of the titular Azerbaijani nation and remained vague in its provisions for ethnic minorities. The 1992 decree was augmented by the ‘National Action Plan on Protection of Human Rights’, also adopted by the decree of the President of Azerbaijan in December 2006, and presented as evidence of the importance of minority rights protection for the state in its third FCNM periodic report. In its fourth periodic report, submitted in 2017, the government noted that its ‘National Action Programme on Increasing Efficiency of Protection of Human Rights and Freedoms in the Republic of Azerbaijan’ contained provisions for the protection of minority rights. Otherwise, the country has yet to adopt any kind of comprehensive anti-discrimination legislation. Selective criminal proceedings and convictions of persons engaged in the protection of human rights, including minority rights, have a chilling effect on freedom of expression. Human rights, including minority rights, defenders continue to be targeted in criminal proceedings with accusations of disloyalty to the state based on their work to promote minority identities and to seek the enjoyment of their rights. A negative public narrative against some minorities in particular further limits their access to rights. There is no effective consultative mechanism to ensure that the concerns of national minority communities in different regions, as well as in the capital, are brought to the attention of the various ministries that deal with these issues. In its fifth monitoring report, issued in 2016, the European Commission against Racism and Intolerance (ECRI) expressed concern about the lack of criminal law provisions against incitement to violence or support for groups espousing racist views. Colour, language, citizenship and ethnic origin are not explicitly mentioned as protected characteristics. The general school curriculum is taught in three main languages: Azerbaijani, Russian and Georgian. Talysh, Avar, Udi, Tat, Tsakhur, Khinalug and Kurdish are taught for the first four years of primary school, and Lezgin for nine years, in the regions where these groups are concentrated. The National Academy of Science has a special department for studying the languages, culture, history and ethnography of national minorities. However, In pursuit of the goal of promoting the state language, a Law on the State Language was adopted in 2002, which contains certain regrettable reductions in the legal guarantees for the protection of national minorities. These put at risk certain practices in the field of electronic media. Although the Constitution provides for the right to maintain minority culture and language, authorities have restricted minorities’ effort to teach, or print materials in, their native languages. Farsi-speaking Talysh in the south of the country, Caucasian Lezgins in the north, displaced Meskhetian Turks from Central Asia, and displaced Kurds from the Armenian-occupied Lachin region have all experienced discrimination, restrictions on the ability to teach in their first languages, and harassment by local authorities. Azerbaijan has signed but not yet ratified the European Charter for Regional and Minority Languages, a treaty adopted by the Council of Europe in 1992. NGO registration continues to be problematic. It is reported that around one thousand NGOs remain unregistered in Azerbaijan. Such limitations have a negative impact in particular on NGOs working on human rights and minority issues. According to the Economic Research Centre, only six per cent of national NGOs work on human rights. Some NGOs claim that the State NGO Council established in 2007, which distributes government funds to civil society organizations (CSOs) on a competitive basis, gives preference to those CSOs run by members of Parliament and with close ties to the Council. Anti-discrimination does not appear to be a government priority. Armenians and persons of mixed Armenian-Azerbaijani descent have been denied work, medical care and education, and have been unable to register their residences due to their ethnicity. Discrimination and harassment at work seems the norm, and in some cases local authorities have refused to pay pensions to members of the Armenian minority. Similarly, in the area occupied by ethnic Armenian forces, authorities have effectively banned the very few remaining ethnic Azerbaijanis from all spheres of civil, political and economic life. Despite these restrictive state policies, a significant number of cultural centres have been established across the country with the aim of preserving the ethnic identity of certain minority groups. These were encouraged as part of the official 2016 Year of Multiculturalism. In addition, in regions with large concentrations of particular minority groups, there are club-based amateur societies, national and state theatres, amateur associations and interest-focused clubs. UNDP/ UNFPA (2015). Population Situation Analysis: Beyond the Demographic Transition in Azerbaijan. [online] Baku. Available at: http://eeca.unfpa.org/sites/default/files/pub-pdf/UNFPA%20Azerbaijan%20PSA%202015.pdf [Accessed 23 Nov. 2017]. European Parliament (2014). Minorities in the South Caucasus: New visibility amid old frustrations. 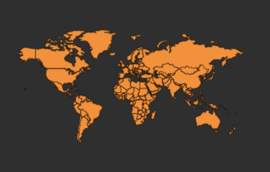 [online] Brussels: Directorate-General for External Policies of the Union Policy Department. Available at: http://www.europarl.europa.eu/RegData/etudes/briefing_note/join/2014/522341/EXPO-AFET_SP(2014)522341_EN.pdf [Accessed 23 Nov. 2017].